Molagootal is a mildly spiced dish made of a combination of vegetables or greens, lentils and coconut. It is part of the traditional style of cooking by the Palakkad Iyers. Keerai Molagootal is a very simple and easy to make recipe which is full of nutrients. For those who don’t know what the word Keerai means – “Green”. Steam the chopped spinach, allow it to cool. Once cooled grind/mash into a puree. Once cooked completely, mash the dal well. Heat one tablespoon of oil in a small pan; add the urad dal and red chillies and roast them on medium heat until the dal becomes light brown. Set aside to cool. Grind together grated coconut, cumin seeds and the above roasted red chilli and urad dal mixture into a smooth paste. In a large pan, stir in the cooked pureed spinach, salt, the cooked dal and the coconut paste. Check the salt levels and add more if required. Heat a teaspoon of oil in a small pan. Add mustard seeds, curry leaves and allow it to crackle. Stir in this seasoning to the Molagootal. Serve keerai molagootal hot with cooked rice. This recipe was contributed by Ta Nuja as a contestant entry for our “Malabar food fest 2018“. If you found this post useful, please provide your feedback below or share the post with your social media followers today. We have other palakkad recipes also. Try them. 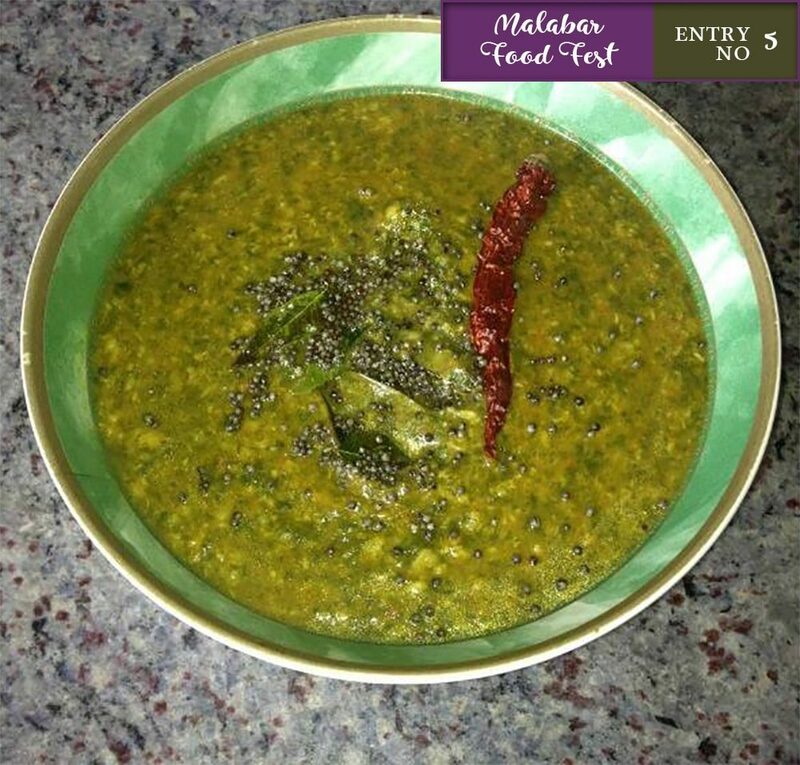 This entry was added on April 13th, 2018 by Renoos in Vegan and tagged with malabar food fest, spinach, keerai molagootal, malabar recipes, keerai kootu, keerai molagootal recipe palakkad, kerala curry, murungai keerai molagootal, curry. Last revised on April 13th, 2018.